If you are fond of pop art, this vintage wall clock is for you ! Entirely made of transparent glass with zingy polka dots from yellow to bright red. The hands of the wall clock, wide and sharp, are a tangy orange. 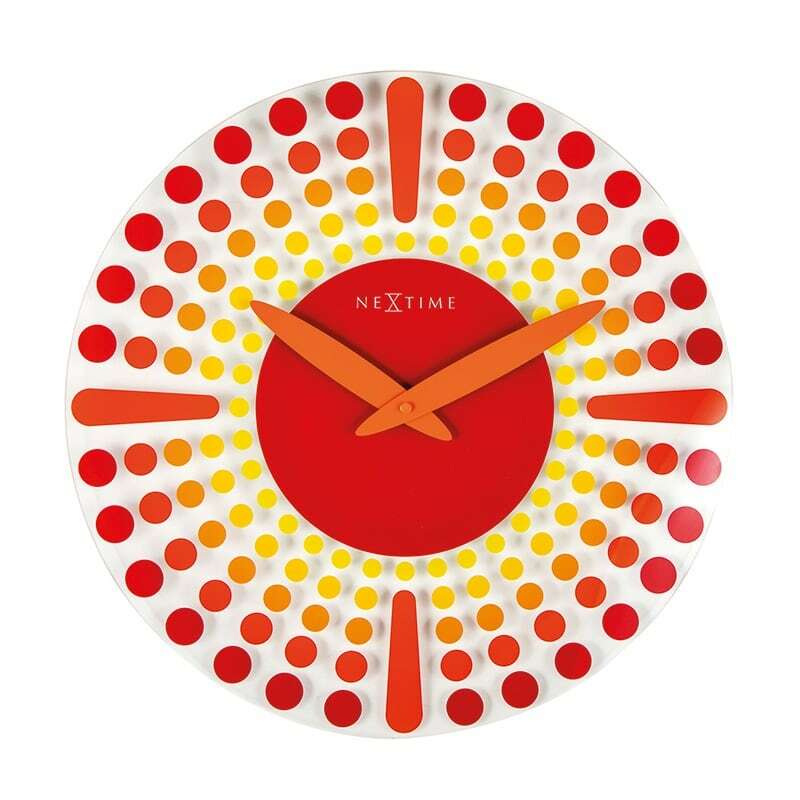 Free 48 / 72 h delivery in metropolitan France and Belgium for your moderne wall clock. The flashy colours will certainly catch your guests’ eyes. More than just a wall clock, it is a true decorative work that will bring a real style to your interior. The vintage wall clock is composed of a transparent round glass face enhanced with brightly coloured polka dots in a star pattern. 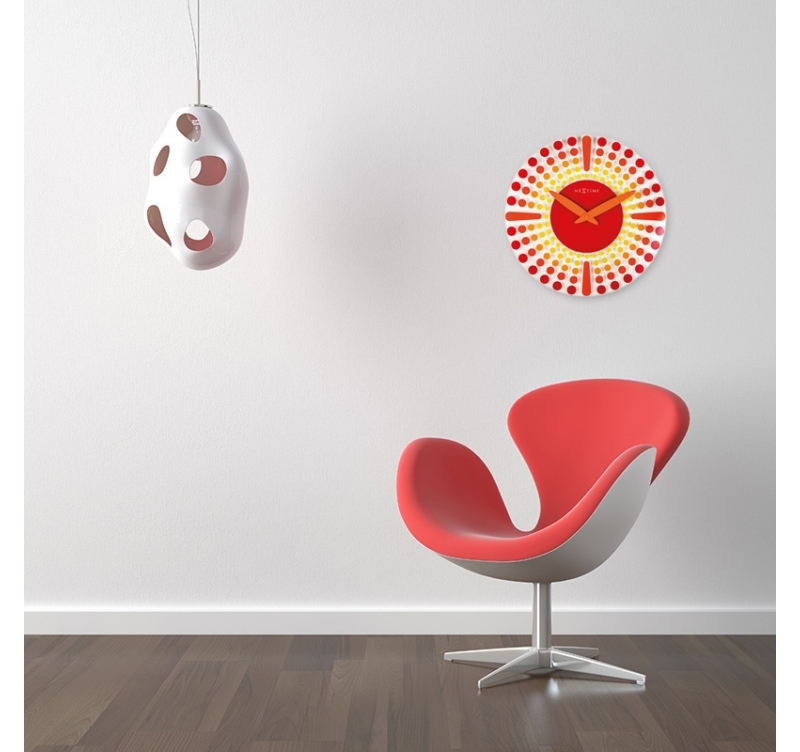 Near the central movement of your original wall clock the polka dots are yellow scaling to red. The pointed chubby hands are a nice orange full of pep. 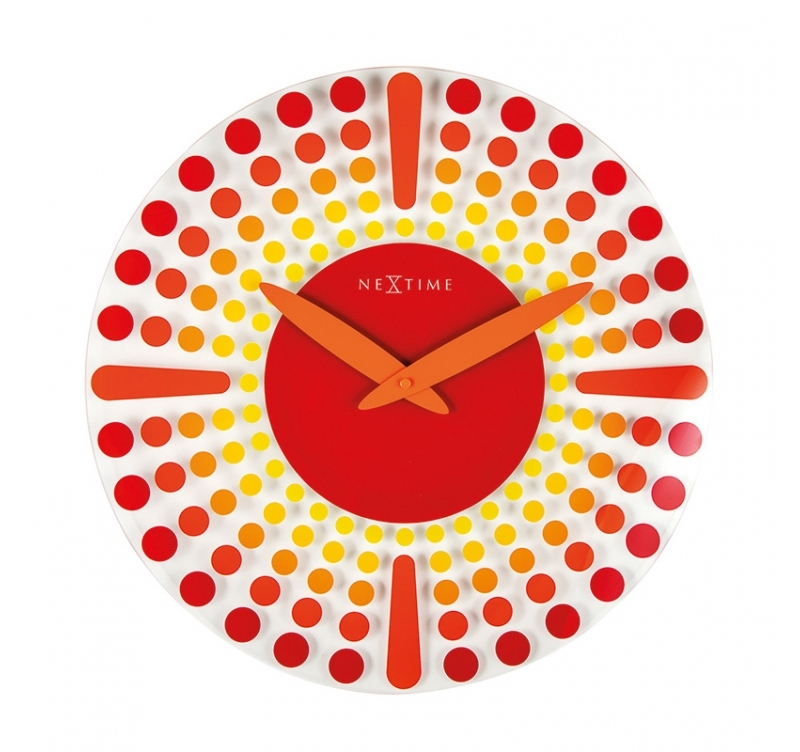 A kitchen clock unlike any other for your dining area or a nod to your lounge. This wall clock can also be found in black.